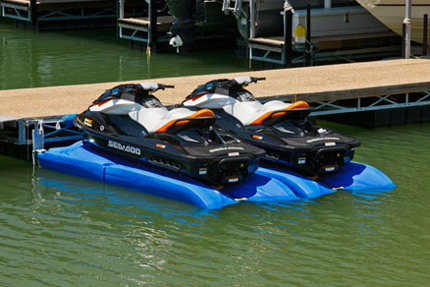 The HydroPort Pro™ Side Mount PWC Lift lets you protect your craft and still enjoy fast, convenient access to the water. Just drive on to load and roll off to launch. It’s that simple.